images . Gardens by the Bay . 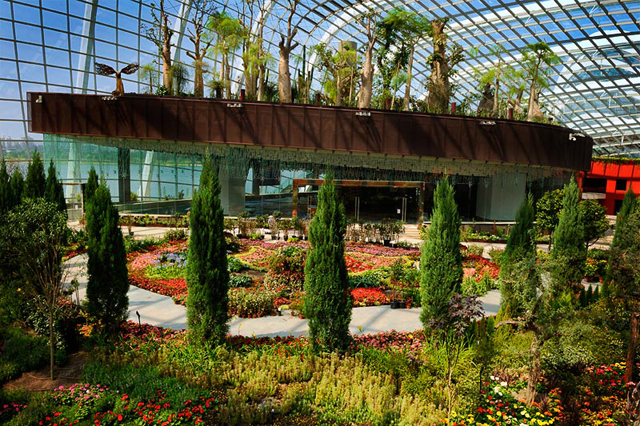 It is over 101 hectares and home to over a quarter million rare plants, the new and sparkling Gardens by the Bay is a spectacular park just a short walk from the Marina Bay Sands. The Gardens by the Bay is spread over three waterfront gardens: Bay South and Bay East, with Bay Central connecting the two. Bay South — the largest waterfront garden — is where you’ll find the futuristic-looking Supertrees at the Supertree Grove. 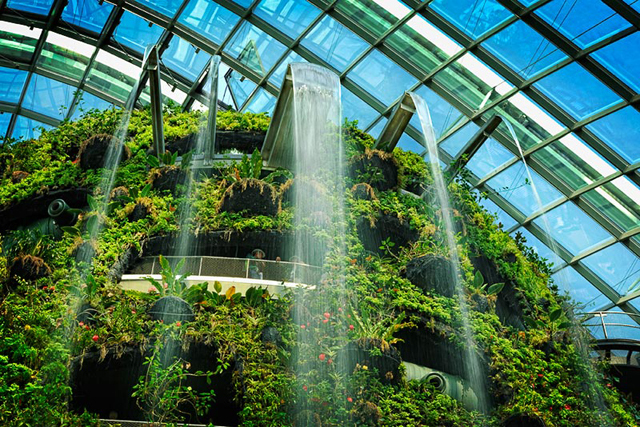 These vertical gardens are 16 storeys high and they are not just aesthetic features; they also collect rainwater, generate solar power and act as venting ducts for the park’s conservatory. 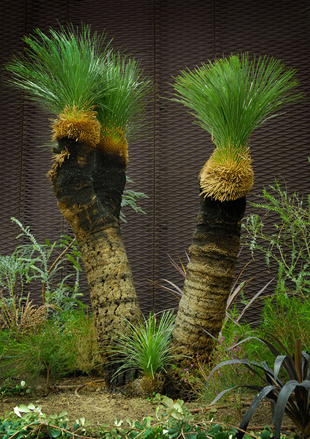 Twelve Supertrees are situated here while another 6 are placed in clusters of threes at the Golden and Silver Gardens. Take a walk on the suspended OCBC-Skyway, a 128-metre walkway between the Supertrees or hitch a ride to the bar on top of the tallest Supertree at 50-metres for a bird’s eye view of the entire gardens as well as the surrounding Marina Bay area. The Conservatories, featuring the Cloud Forest and Flower Dome, are the other key features, offering reprieve from the tropical heat. 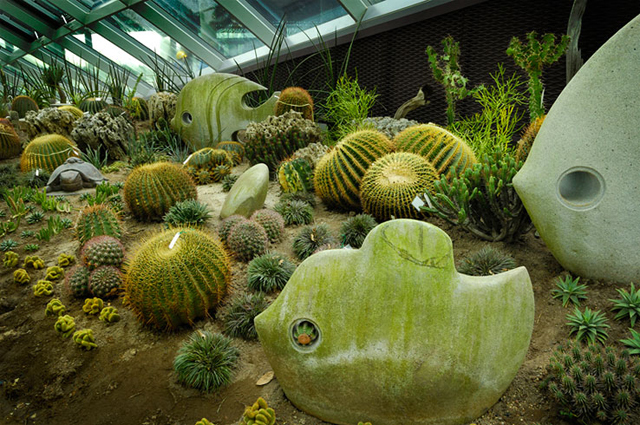 The Flower Dome replicates the cool-dry climate of Mediterranean and semi-arid subtropical regions like South Africa and parts of Europe like Spain and Italy. It houses a vast collection of plants from deserts from all over the world, tall expressive baobabs and fascinating succulents. The Flower Field follows the different seasons, festivals and themes with changing displays throughout the year. 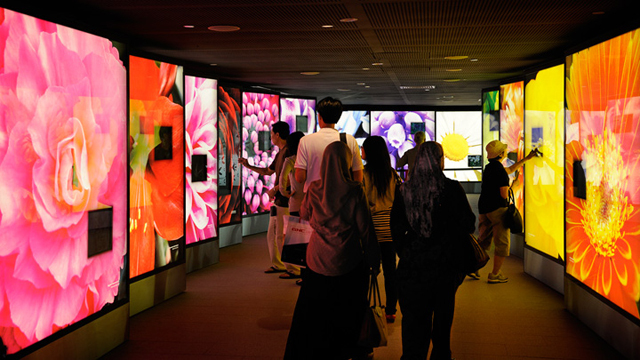 The spectacular centrepiece of colour and fragrance inspires the senses to explore every inch of display. The dome environment is cooling and refreshing, making a journey to discover the plants of the Mediterranean Basin, South West Australia, South Africa, Central Chile and California a cool and comfortable experience. Ascend to the mountaintop effortlessly via a lift and descend through two walkways. Along your walk you can experience and learn about the unique biodiversity and geology of cloud forests, and the environmental threats that they face within the nine unique zones in this cool-moist Conservatory. Bay East is an interim garden as there are plans for future developments. It is a pleasant mix of pavilions, lush lawns, tropical palm trees and pretty blossoms, perfect for an evening stroll or a picnic with family and friends, or just to catch a view of the Marina Bay financial district skyline along its two-kilometre waterfront promenade.